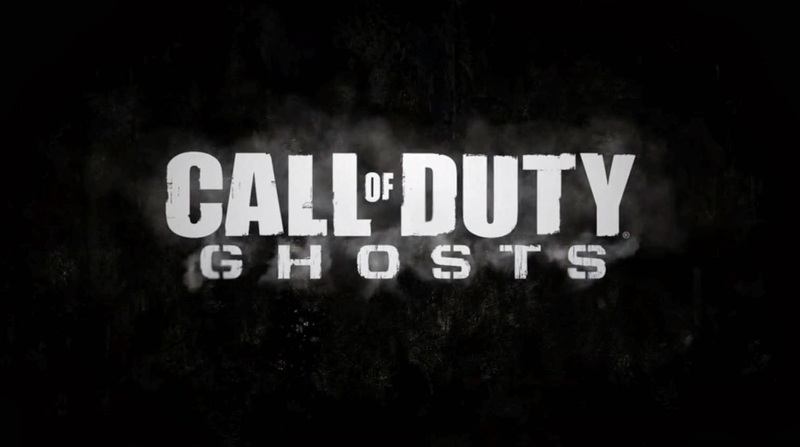 It’s been 4 years since the release of Modern Warfare 2 where one of the characters was called Ghost. Now we have COD Ghost where San Diego gets blown up by missiles from outer space. This takes us to the second mission where you’re sent to space station “Loki” where you have to fight off rebels which is awesome. My opinion is that the multiplayer needs to be more optimized with the spawn points. The frustration of getting spawn killed is unbearable to the point where I decided to play another game. However, Ghost is not completely bad. Also, there are not enough maps but one good note - the campaign was pretty good being able to control a Dog(Riley) that is a German Sheppard. 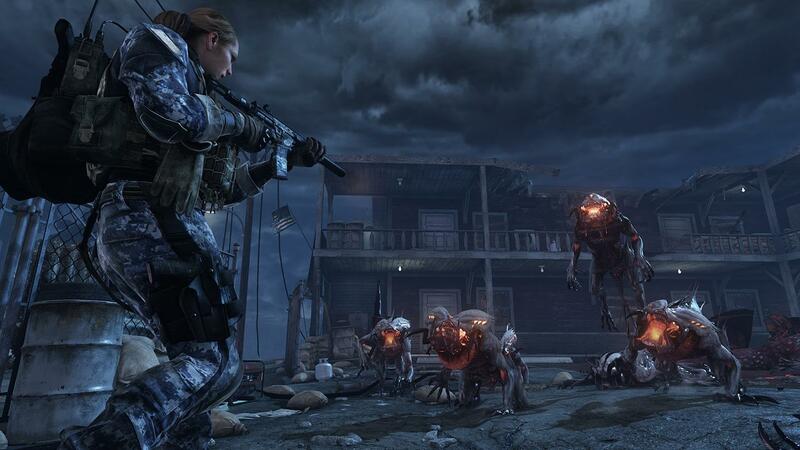 One of the new game modes is Extinction which is a 4 player co-op where you have to go head to head with borderland Dragger look-alike aliens and waves of endless aliens coming from all directions. This makes this mode difficult but fun at the same time. You will have a load out which can be customized but I am a bit gutted that you can’t customize your character. There is only one map at the moment which is called Episode One so I would expect some DLC for this mode shortly. Extinction starts with you and your team spawning next to a helicopter with a drill. The objective of Extinction is to drill through alien pods which count as a barrier which you then have to destroy to be able to pass; you will have to take on 14 alien pods before reaching the end. Once you’re at the end you will have to set a timer on a nuke which gives you 4 minutes to escape to the evacuation zone. Throughout the mode you will be rewarded with skill points which you can spend on this new perk system, the perk system can be customized before you start your game however you can advance it in game by finishing rounds and challenges. After the game has finished your perk tree will reset for the next game. Weapon specialist- this is the default class you start off with. 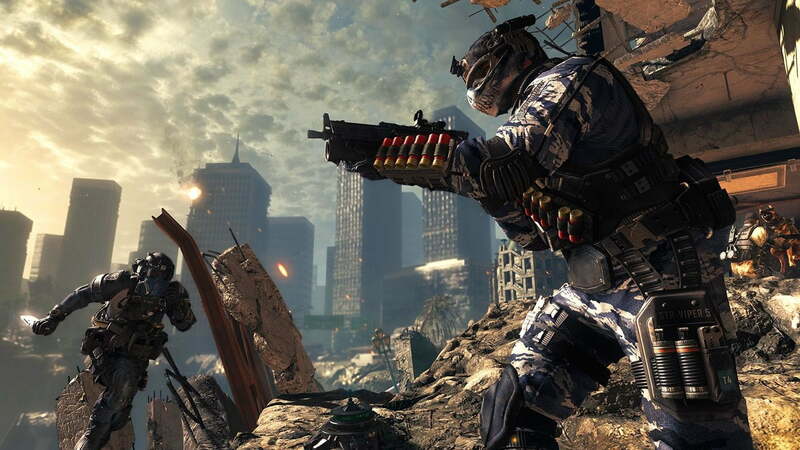 This class is for the shooters who want to be able to deal more damage with their weapons. Tank- is unlocked when you reaching level 3. This class is for players who die a lot or whoever wants more health. This class will give you health upgrades. Engineer- this class is unlocked after reaching level 5. This class is to add armour to the drill and to help to build up more money. Medic- this is unlocked after getting up to level 10. This class helps to revive allies faster and also has upgrades to make you faster. Back to multiplayer, there are a variety of new features. You are now able to be a female for a change. There are also the new game modes like the insane mode Cranked which every kill you get enhances your movement, Reload and ADS. However, if you don’t get a kill in the next 30 seconds you’ll EXPLODE!!! We also have the new character creation where you can change what your character looks like; this feature is not like the older games where you had a set avatar which only changed according to your perks. I take no Credit for this video. It was made by Ali-A. COD’s. 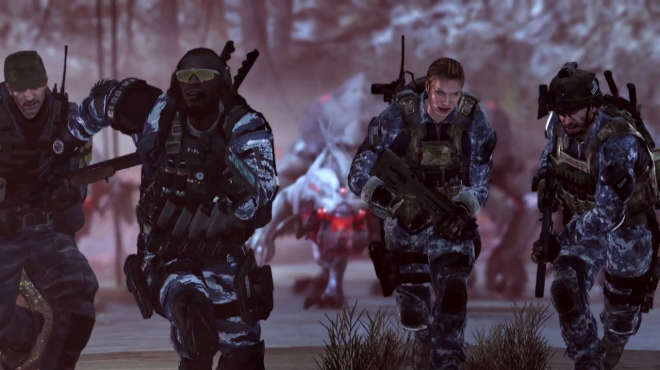 On the other hand I wouldn't get Ghost just for the new Extinction mode because even though it’s fun it gets boring after a while. So fellow Gamer Geeks what do you think about this review? Leave a comment below.